East Gate Lodge No. 120 is a Masonic Lodge in Fargo, North Dakota, under the jurisdiction of the Grand Lodge of North Dakota. We are a diverse group of men brought together by a common interest in Freemasonry. As Masons, we practice and promote the philosophy and values of the Fraternity. Our work includes making new Masons through the conferral of degrees, “making good men better” through Masonic instruction, and supporting our community through charitable activities. We also enjoy many social activities together, including fraternal gatherings, as well as events open to spouses, friends and families. Many of us are active in other Masonic organizations outside of the Lodge, such as the Scottish Rite, Knights Templar and the Shriners. However, the Lodge is the core of Freemasonry, and many Masons choose to keep the Lodge as their primary focus. Each Mason is free to be involved with as many (or as few) groups as he desires according to his personal interests and available time. A long-running tradition for East Gate Lodge is our annual Dessert Concert in support of Ben Franklin Middle School music students. This fundraiser gives students the opportunity to attend the International Music Camp at the International Peace Garden each summer. 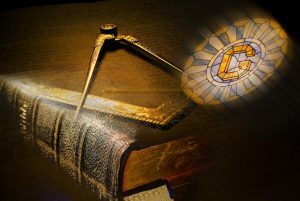 Please take a few minutes to explore our website, and if you have any questions about Freemasonry in general, Freemasonry in Fargo, or about becoming a Mason, please feel free to Contact Us.